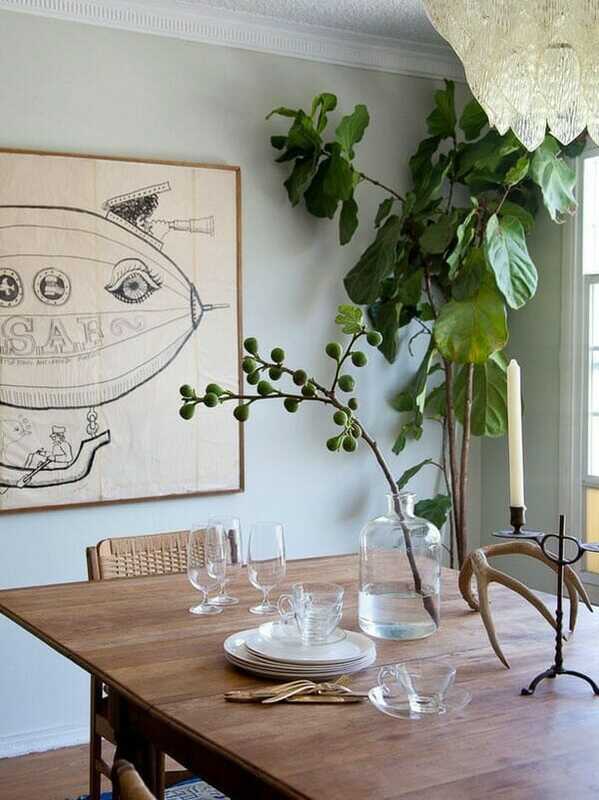 If you chose things solely based on looks, then you might go straight for the ever enduring “it” plant – the Fiddle Leaf Fig, with its large dinner plate sized sculptural leaves. It’s kind of like a Volvo, if you pick the right one and you have the right environment, is pretty low maintenance and a work of art on its own. Whether it lives in a white washed or eclectic environment, this West African beauty acts as a major design element that adds drama and texture to any room. If you don’t give this beauty the proper home it deserves, it can be a real temperamental diva. Be prepared with a box of tissues as those beautiful leaves brown and fall gracefully one by one to the ground. This is not to dissuade you from this plant, it every bit worth the effort. I’ve always been a landscape or edible plant fanatic, but the Fiddle Leaf Fig opened my eyes to the design impact of large houseplants. Having access to quality beauties at Brooklyn Plantology, my gaze and plant obsessions have gotten even wider. Besides elevating my quality of life, for gardeners, it’s a way to curb “garden anxiety” during non-growing months. I am re-greening my whole home! 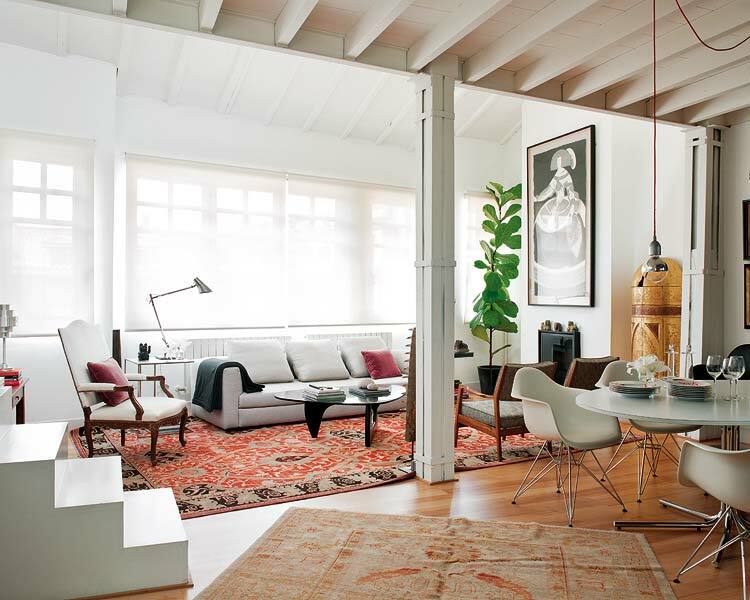 Price can also be a factor if you’re not quite sure that you can keep the Fiddle Leaf Fig alive that sells on some sites for $250 or more. You need to shop well friends! Because of the sheer volume they do, if you live in the New York area, that same plant sells for $70 at Brooklyn Plantology and you can have it delivered to your home. 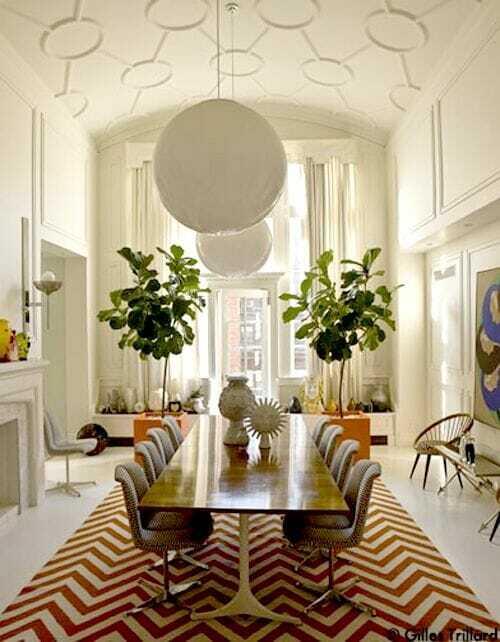 That is a reasonable risk I am willing to take with the Fiddle Leaf Fig. I’ve spent way more on face creams for much less reward. 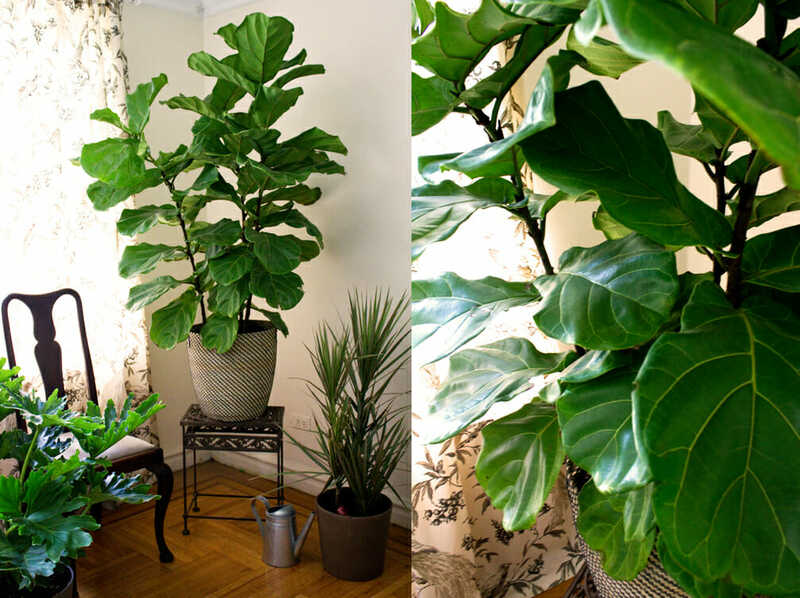 Bringing home a Fiddle Leaf Fig also means choosing the right pot for your style and room. I learned through trial and error that the Fiddle leaf Fig doesn’t like to be in a massive pot. I recommend planting it in one just larger than it’s plastic pot. I love this basket one with a smaller interior pot used by Emma Reddington, The Marion House Book. I like to mix a variety of pots in my interior design and chose a modern woven basket for my Fiddle Leaf Fig as a contrast to my ceramic and metal pots. I also placed it on a wrought iron stand to give it even more height. 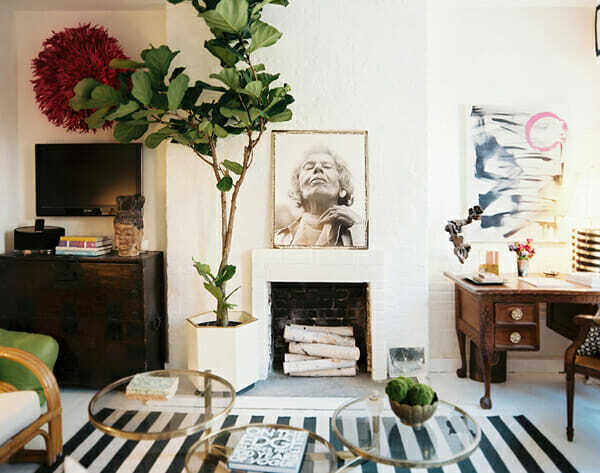 Fiddle Leaf Figs with their undulating leaves and round instrument-like edges can make a room feel very natural and can soften hard lines. Like it’s musical name, the Fiddle Fig adds life and movement to any room. HGTV Design Star Emily Henderson’s home. Facts about the Fiddle Leaf Fig: Hardy evergreen, zones 9-11. Basic Care: Fiddle Figs love bright, indirect sunlight. Let the soil in its pot dry out completely between watering (easy for those of you who forget to water). If you start to see leaves brown and fall off, it means you could be overwatering it. Be careful when transplanting it. Don’t put it into a pot that feels too big or it may react. Best time to repot? In the spring, when it’s enjoying its growth season. If you live in a humid warm summer weather climate, you can put it out on the patio. 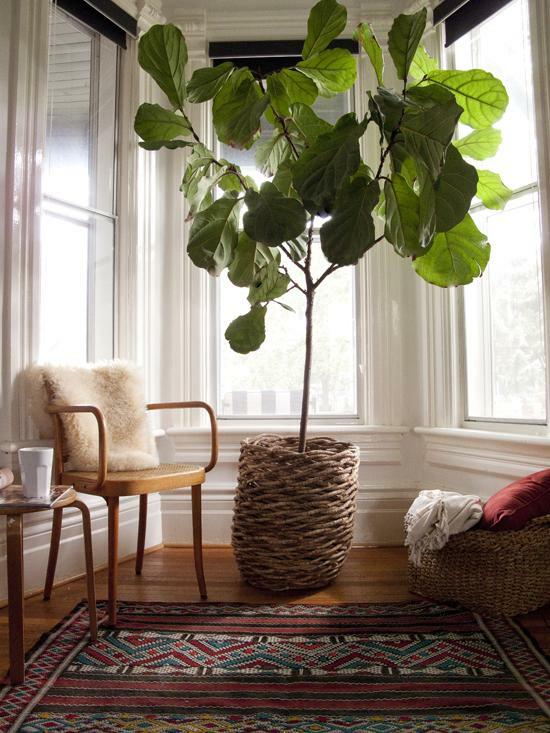 Check out our Pinterest board for more Fiddle Leaf Fig inspiration! You can find various sizes and price points at Brooklyn Plantology and they deliver too!